So sometimes I get a little hormonal…and cranky. And when hormones are raging and the kids are fussing and the floors need sweeping….this is the time to make something so tasty, so rich and delectable that you can’t help but cheer up. 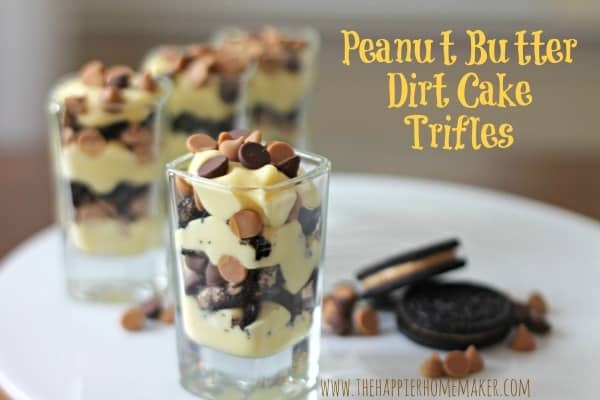 Something like a peanut butter dirt cake trifle. 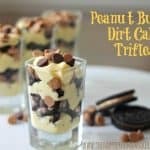 Rich, delectable variation on a favorite dirt cake recipe using peanut butter oreos and chocolate and peanut butter chips! In a separate bowl whisk pudding, milk, and Cool Whip. Add in cream cheese mixture. 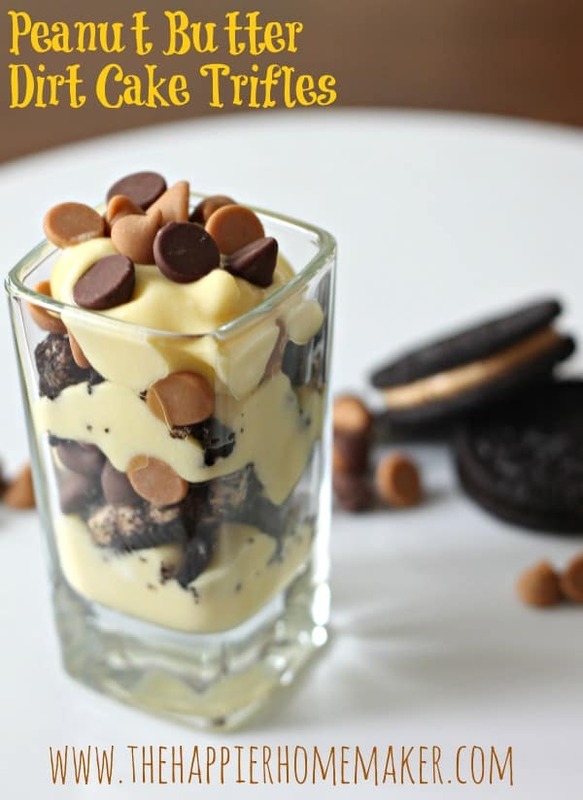 Layer cookies, chips, and pudding mixture and chill! next post: DIY Summer Wreath and Huge Announcement! If I could, I would grab one of these from my computer screen right now. Absolutely delicious sounding! OMG this looks ridiculous!! get in my belly!!! You have GOT to be kidding me! This looks delicious and would definitely take the stress out of your day! Mmmmmmm, that looks so good. This would definitely cheer me up. Thanks Rosemary! They went fast around here!